The Knesset committee for Arab affairs this week approved a NIS 20 million ($5.6 million) two-year plan for the creation of technology parks within Arab towns in Israel, as a way to boost local employment opportunities locally and close income gaps between Jewish and Arab Israelis. A further NIS 5 million was earmarked to create access roads and transportation to and from these parks. The committee instructed the Ministry of Economy and Industry to set up the plan within 90 days. Arab Israelis account for some 20 percent of the population, but just 2.5% of employees in the high-tech sector, according to government data. Low-income populations have largely been left on the sidelines of the nation’s high-tech boom, including the ultra-Orthodox, Arab Israelis, and women, resulting in large income gaps. The ultra-Orthodox and Arab populations, among the poorest in Israel today, are expected to constitute half of the population by 2059 according to the OECD. “The plan is expected to create conditions for the creation of thousands of new jobs in the fields of development, software and services, and to contribute to narrowing the gap between supply and demand” for the employment of Arabs in the high-tech sphere, a statement issued by the Prime Minister’s Office said. Since 2012, the Israeli government has set up a number of programs to help Arab Israelis integrate into the labor market and the high-tech sector in particular, in an effort to boost economic growth and reduce inequality. In 2015, the government earmarked an unprecedented NIS 15 billion for the economic development of the Arab Israeli sector and other minority communities from 2016 through 2020. The new tech park plan is an extension of the 2015 decision, the committee said. The move comes as Israel’s tech industry, for years the growth engine of the economy, is facing an acute shortage of skilled engineers and programmers. This scarcity could cause the engine to stall, and the country is seeking to tap into new populations sectors to keep it going. The NIS 15 billion program is already beginning to bear fruit. “Within just two years we have already witnessed a significant increase of many growth indicators in Arab society,” said Social Equality Minister Gila Gamliel in the statement announcing the committee’s decision. These growth indicators include more Arab students taking high school matriculation exams, more Arab students enrolled in higher education programs, and higher employment rates. “The fact that the plan is so successful attests to the government’s commitment,” which crosses ministries and parties, she said. Among the achievements in the past two years, since the implementation of the so-called Plan 922 — the NIS 15 billion plan — there has been a 6.3% increase in the rate of matriculation eligibility in Arab society; a 2% rise in the number of Arab students, and some 88,000 children and teens who are taking part in informal education programs. The committee for Arab affairs is headed by Prime Minister Benjamin Netanyahu and includes Gamliel and Economy Minister Eli Cohen. The program was set up in collaboration with Aiman Seif, the director at the authority for the economic development of minorities, and Tsofen, a nonprofit organization that aims to increase the involvement of Arabs in the technology sector. High-tech firms operating in Israel are beginning to recognize the business sense of employing Arab graduates and opening offices and plants in Arab towns, said Paz Hirschmann, the co-CEO of Tsofen, in a phone interview. “The high-tech industry must come to the heart of Arab towns” to enable real social and economic change, he said. This is already happening in Nazareth, for example. 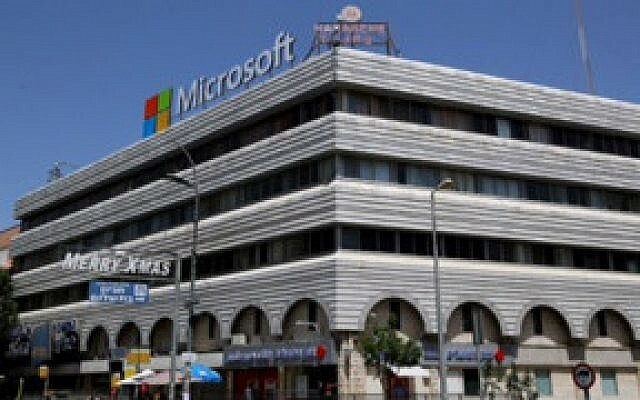 Nazareth, the largest Arab city in Israel’s Northern District, hosts over 950 high-tech employees — compared to just 30 in 2008 — working in firms that have set up local operations, like Amdocs, Microsoft, Broadcom, Alpha Omega and others. Of these employees, 25% are Arab women, Hirschmann said. There are also some 70 startups operating in the city. In Kafr Qassem, 25 kilometers east of Tel Aviv, Tsofen operates a startup accelerator program and is working to set up a high-tech park in conjunction with the government and the municipality, he explained. The technology park plan “is an important step,” Hirschmann said, though “as with any decision, it would have been better had it come five years ago.” But, he added, the merging of Israel’s demand for skilled workers with greater openness of the Arab population to the tech industry — they are now are starting to view it as a viable employment option — makes the timing of the decision perfect. From 2012 to 2015 the number of Arab undergraduates studying subjects relevant to the high-tech industry increased by 50%, Tzofen data shows. Founded in 2008 by Jewish and Arab high-tech professionals, Tsofen seeks to create an equal society in Israel by boosting the number of Arabs in the tech industry and thus helping close income gaps. The organization seeks to promote tech hubs in Arab towns and help Arab engineering graduates find jobs in technology firms.